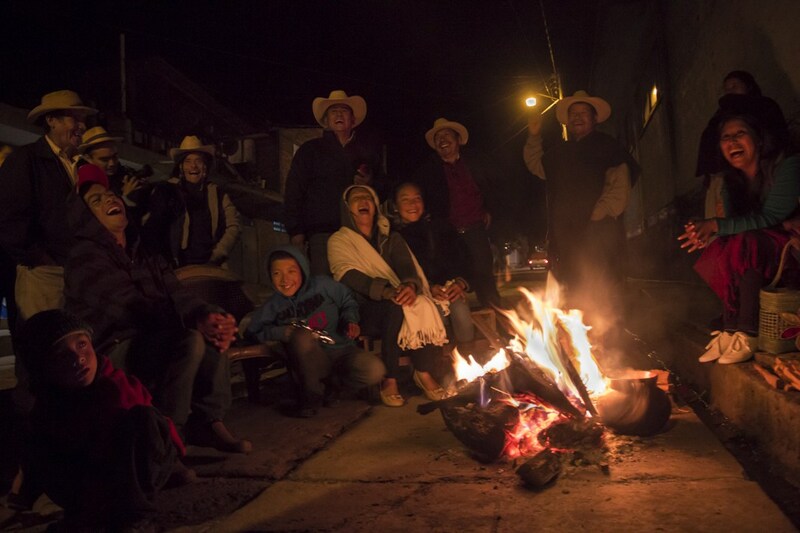 Under heavy rains, two busloads of people and dozens of others traveling in cars or public transportation came together in the community of Xayakalan in Ostula, Michoacán, on June 29, 2017. 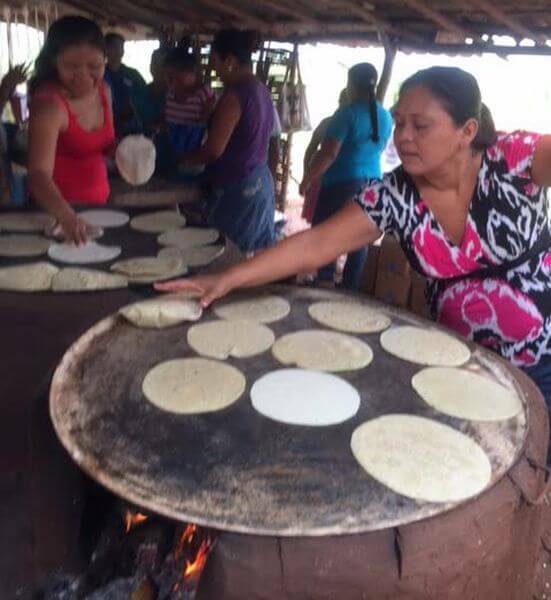 There, the compañeras welcomed us with steaming coffee, tortillas and a delicious stew. The purpose of the trip? 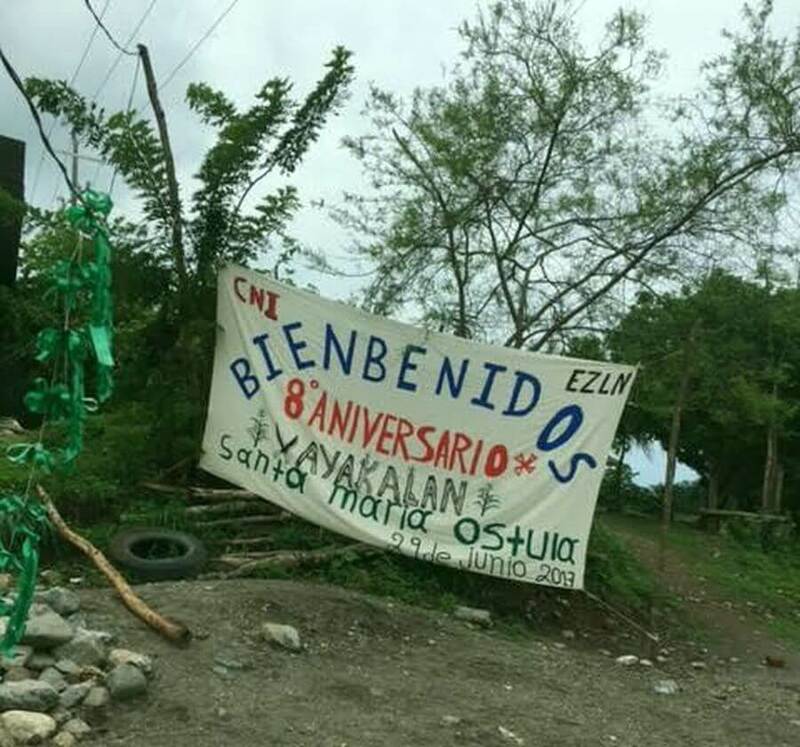 The celebration of the eighth anniversary of one of the most amazing things that’s happened in Mexico in many years ––the recovery of 3000 acres of land stolen from Ostula half a century ago, and the construction of a community where resistance is part of its identity. 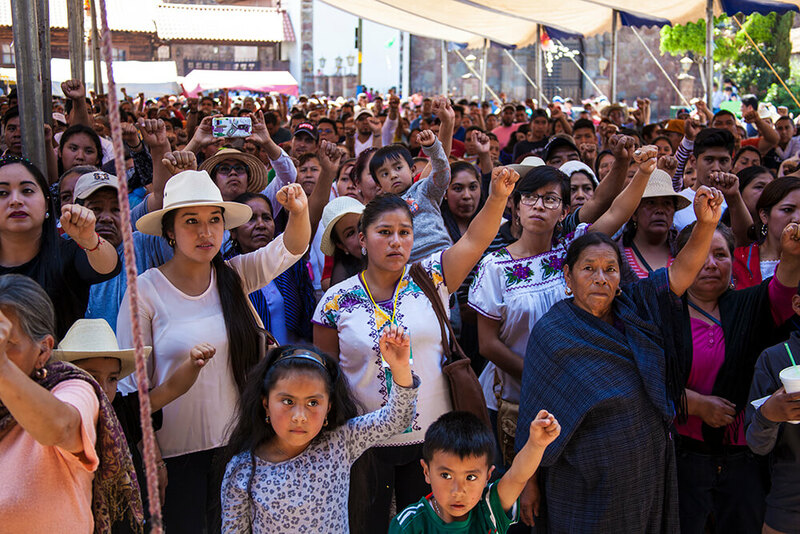 The escalation of violence against social protests is evident in the harassment and repression of teacher-training students in Michoacán, Aguascalientes, or wherever they are based. 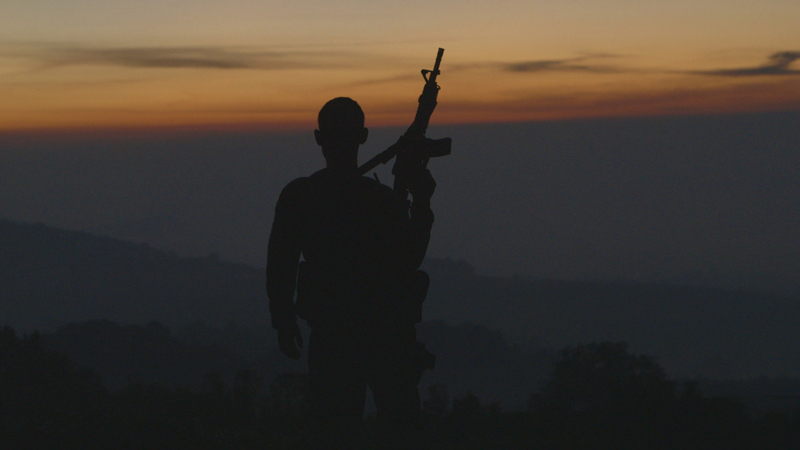 Rural activism by normal school (teacher-training) students has once again become the target of armed repression by the Mexican state. 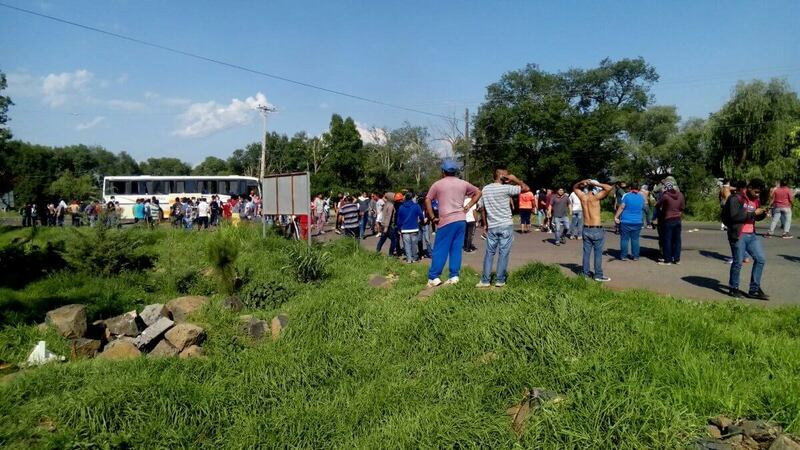 On Wednesday, June 21, students from the Vasco de Quiroga Rural Normal School in Tiripetío, Michoacán, were brutally repressed by Special Operations Group police (GOES) who detained, beat and shot at the students. One student, Gael Solorio Cruz, was shot in the head and is reported as being in critical condition.